The Elia Commercial Vacuum Beverage Dispenser offers an efficient hot drinks service. Simply place your cup under the easy pull to pour tap and effortlessly dispense contents. 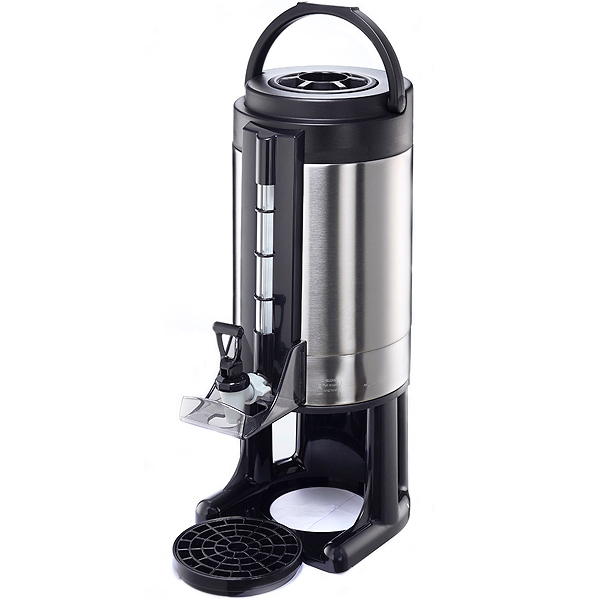 The top of the machine detaches from the base for easy refilling, and this dispenser comes complete with a drip tray for mess free coffee or tea service. Ideal for catering for small to medium events, beverages can be kept hot or cold for 6-8 hours. This practical, durable dispenser has been designed with convenient features to make your coffee service fast, efficient and effortless. A capacity indicator lets you know when to refill and the fold away carry handle makes this dispenser easily portable.